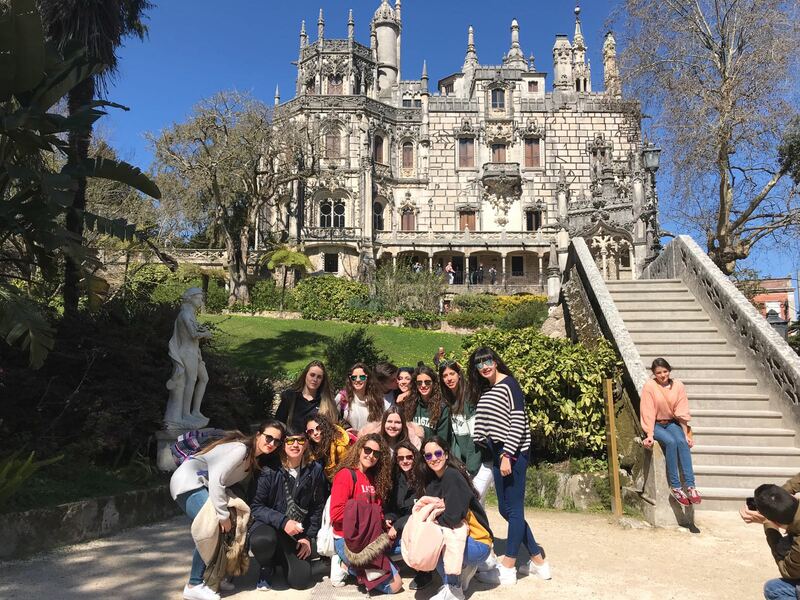 47 STUDENTS FROM 4TH ESO AND 3 TEACHERS WENT TO PORTUGAL ON A SCHOOL TRIP. 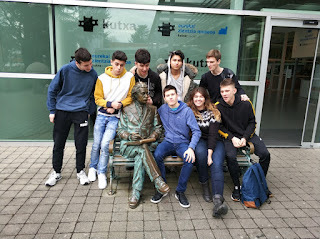 THEY ENJOYED A LOT ACCORDING TO ALEJANDRO AND ALEX. 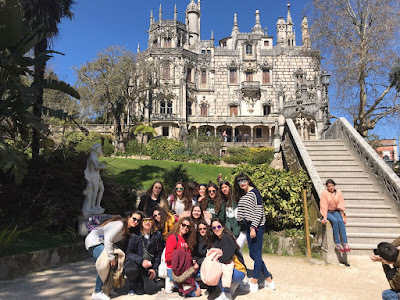 THE BEST THING WAS SHARING FREE TIME WITH THEIR MATES, ALTHOUGH, THEY ALSO MENTIONED THE BUDHA EDEN AND THE LABERYNTH apart from SINTRA, OF COURSE. THEY BROUGHT SOME CAKES FROM FATIMA AND THEY HAVE A LOT OF PHOTOS, AS USUAL. Some teachers have decided to move to another school, as it happens every year.... although the majority of us prefer to stay, due to the fact that this is a very active school with lots of interesting teachers and creative pupils. 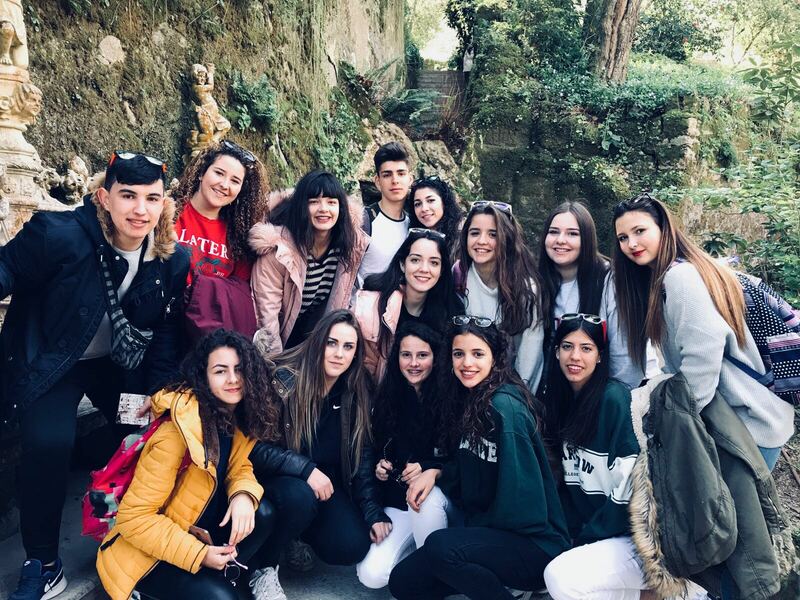 Nevertheless, we want to congratulate Luisa Caballe, Ana Ribas, Manolo Sánchez, Paco Narro, Julia, Jose Antonio, etc.... Also Ines but she doesn't want to go, though, because she is going to coordinate an Erasmus+ project next year related to European skills needed to be a European citizen. YES, TODAY, STEPHEN HOPKINS, 76 YEARS OLD, PASSED AWAY, UNFORTUNATELY. HOWEVER, MORE INCREDIBLE IT IS THE FACT THAT THE EXPERTS TOLD HIM HE WOULD HAVE A VERY SHORT LIFE DUE TO HIS ILLNESS. THEY FAILED IN THEIR PREDICTIONS. NOW. HE WAS WORKING IN HIS THEORY OF 'NOTHING'. HE BELIEVED THAT THE EARTH WILL KEEP EXPANDING UNTIL IT EXPLODES AND THE ENERGY WILL COME BACK TO NOTHING WHERE IT WAS INITIALLY FORMED. CURIOUS...., ISN'T IT ?? BYE BYE FOR NOW AND THANKS FOR ALL YOUR RESEARCH. The students in Administration Course were working last week on investigating due to the 8th of March, and they found lots of interesting women that changed our life along history. YES..... TWO TEACHERS, MARGA HERRERO AND INES SANCHO TRAVEL VERY FAR AWAY THIS TIME (17-24 MARZO, 2018) WITH 3 STUDENTS WHO HAVE BEEN CHOSEN POR THEIR PARTICIPATION IN THE PROJECT AND FOR THEIR GOOD MARKS: DULCE PERNA, ALBA MOLINER, AND CANDELA GÓMEZ. THE TRANSNATIONAL MEETING WILL TAKE PLACE IN MARTINICA (FRANCE), WHERE 8 COUNTRIES WILL SHARE THEIR WORK RELATED TO 'GREEN JOBS' AND SUSTAINABLE DEVELOPMENT. WE WILL UPLOAD SOME PHOTOS ON THE WAY BACK. WE ARE LOOKING FORWARD TO THE TRIP ALTHOUGH IT WILL TAKE VERY LONG TO GET THERE. Currently, we live in a world where conflicts, which are caused by our society, are increasing and consequently violence, which is not only too present but also it is spreading very fast, affecting us in all kind of aspects, for that reason, we can mention a lot of different kinds of violence such as:gender violence, sexual violence, economic violence and even physical violence. In the mass media like T.V. or mobile phones, we always find a lot of news about the situation of the different places in our world but in all of them violence turns up. As a consequence, many people propose some ideas to decrease it, however, nobody does anything and we carry on acting the same way without improving anything. This is my point of view and I´m wholly sure that most people agree with my idea since nowadays even children have access to the mass media, the reason for which, children of our society have turned into more violent individuals than 50 years ago. Furthermore, we have to put up with a lot of absurd comments which are transmitted by all mass media. Therefore, from my point of view, we'd better bring up our children correctly and, although I wonder if this situation will be solved one day, we can't give up, we have to make an effort. To do our best in order to reduce the figures of violence. (Yasmina Vicente - 2nd CIT) ** AND PARTICULARLY TODAY, I MUST MENTION THE DEATH OF LITTLE GABRIEL, WHICH IS A TERRIBLE TRAGEDY THAT SHOULD HAVE NEVER HAPPENED....!!! 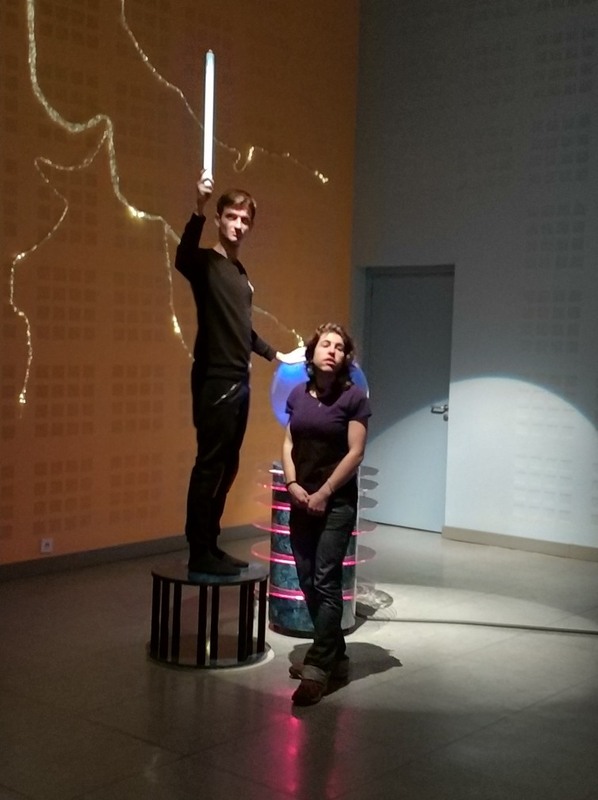 THIS IS WHAT THE STUDENTS FROM ADM 3 HAVE PREPARED RELATED TO OUR ERASMUS+ PROJECT. 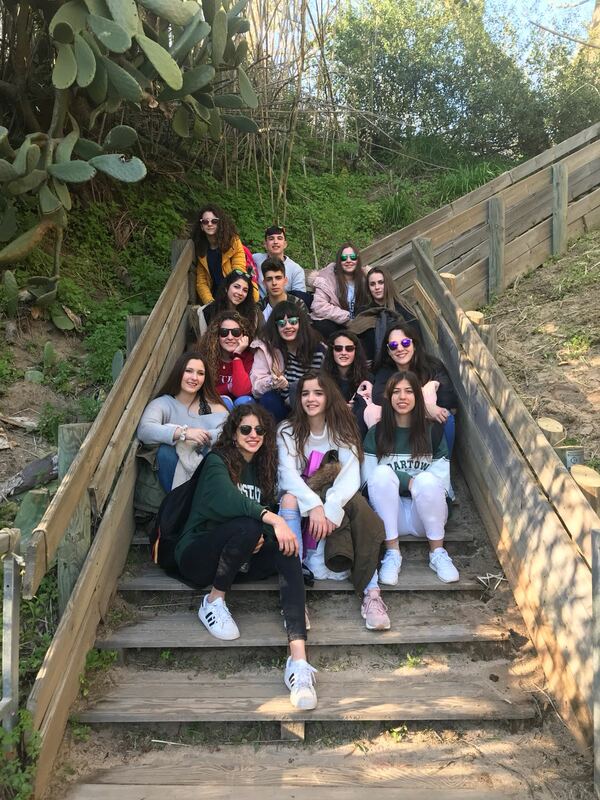 THE TOPIC IS 'GREEN ENTERPRISES' SO EVERYONE OF THEM HAS BEEN INVESTIGATING IN THE BEST ENTERPRISES IN ARAGON AND IN SPAIN AND HAVE CREATED A DOCUMENT WITH PROFILES. YES... 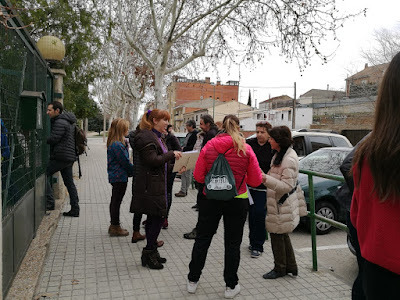 IT WAS A '2 HOUR STOP WORKING ' AT SCHOOL YESTERDAY FROM 11.30 TO 13.30 AND DURING THE BREAK TIME, PUPILS WERE READING LOVELY POEMS IN FAVOUR OF WOMEN RIGHTS AND AGAINST DOMESTIC VIOLENCE. WE WERE STOPPED AT THE ENTRANCE OF THE SCHOOL. 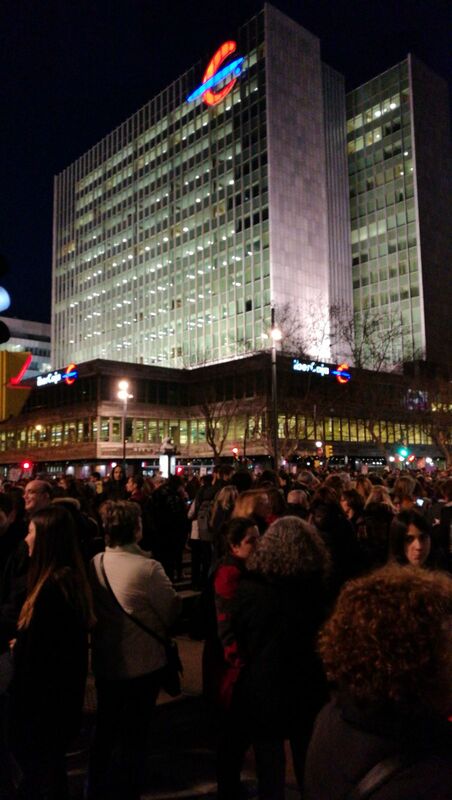 AND THEN, IN THE AFTERNOON, IN ZARAGOZA, THERE WAS A DEMO ALONG INDEPENDENCE AVENUE TO THE PILAR SQUARE .... IT WAS THE FIRST TIME THAT EVERYBODY WENT TO THE STREET ON THE 8TH OF MARCH ( THOUSANDS....) TO MAKE THE DIFFERENCE AND EVEN SOME PEOPLE WENT ON STRIKE, NOT WORKING DURING THE WHOLE DAY. IT WAS THE FIRST TIME BUT MAYBE NOT THE LAST ONE. WE WANT TO DEMONSTRATE OUR IDEAS, OUR COMPLAINTS, ASKING FOR OUR RIGHTS. HERE AT SCHOOL, WE WILL STOP FROM 11.30- 1.30 PM AND AT 12.30 WE WILL GIVE A SPECH SAYING WHY WE STOP. SOME PUPILS WILL READ LOVELY POEMS AND WE WILL LISTEN TO INTERESTING SONGS WHERE WE FIGHT INJUSTICE. ALONG HISTORY THER HAVE BEEN A LOT OF WOMEN MAKING THE DIFFERENCE. THE LIST IS NEVERENDING. HERE IT IS JUST AN EXAMPLE. HOWEVER WE ARE WORKING ON A DOCUMENT WITH LOTS OF EXAMPLES IN ALL FIELDS. 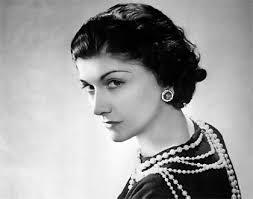 Coco Chanel was the famous woman who revolutionized the world by changing the role of women in her time. I mix the masculine and the feminine garments, creating comfortable women's clothes, such as pants and shirts, eliminating tight dresses and corsets. Also, popularized the masculine cut in the women and the jewelery. He showed that elegance and style were not synonymous with a high social class.She was the first businesswoman and was also the first to wear a good tan, which in her time dark skin was synonymous with poverty. 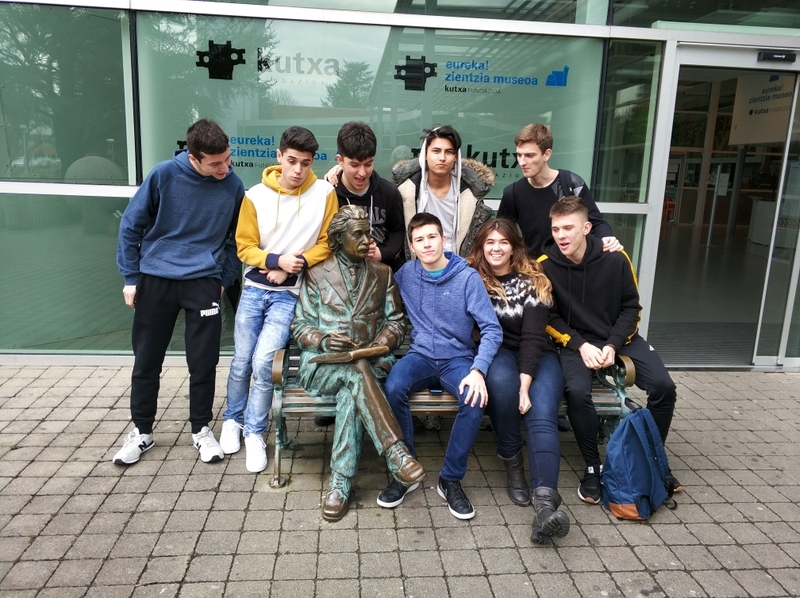 INTERNATIONAL MUSIC WEEK FOR OUR 'ESO' STUDENTS. They were rehearsing during the week for the big concert of orchestra and choir last Friday. it was amazing. 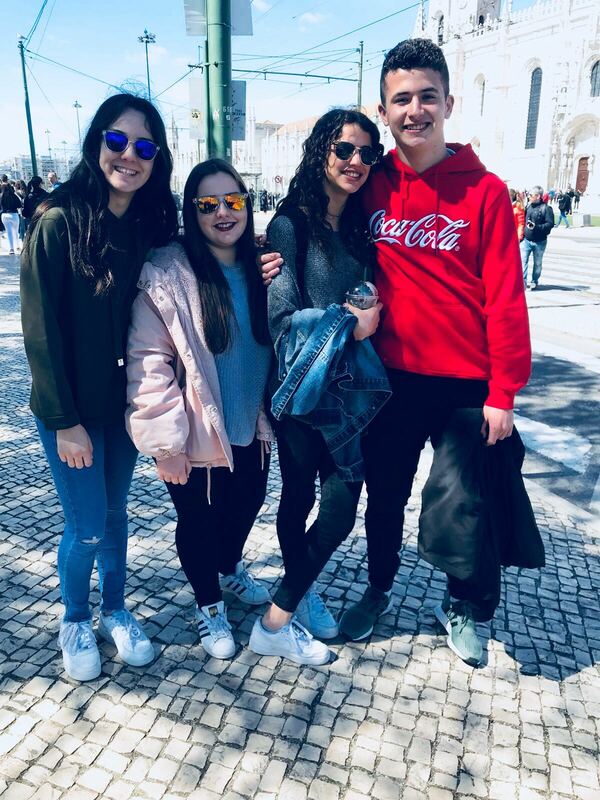 "We have enjoyed a lot, and we will never forget this week", they said. And.... what is more.... we have been offered to go on with it in an Erasmus+ project next year. Taking forward the vision on Strengthening European identity through education and culture it outlined at the meeting of European Leaders in Gothenburg in November 2017, the European Commission put forward three key initiatives on the 17th of January 2018:a proposal for a Council Recommendation on key competences for lifelong learning, an Action Plan for digital education and a proposal for a Council Recommendation on common values, inclusive education and the European dimension of teaching. IT WAS A VERY EXCITING TRIP TODAY. .... AND THE WEATHER WAS PERFECT, SUNNY AND 18º. SOME OF THE STUDENTS PUT THEIR FEET INSIDE THE WATER AT THE BEACH. 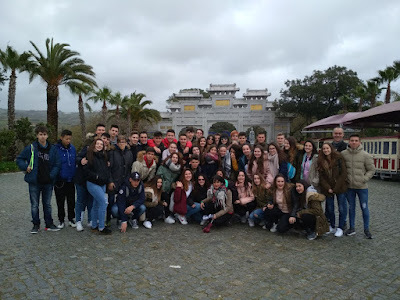 2ND BCS WENT ON A GUIDED TOUR AROUND THE CITY WITH JOSE LUIS AND MARGA. 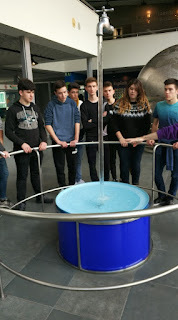 2ND CIT WENT TO THE SCIENCE MUSEUM WITH MANOLO AND YOLANDA.